The National Museum of Rural Life is one of my favourite places for a great day out, so when I had the opportunity to volunteer at the Country Fair, of course I took it. On 3 September 2017 I therefore made my way to the Museum for a day of volunteering and to look at pretty much everything else that was going on. I started my day at around 10 o’clock helping stall holders set up – this way I could have a first wee look at what would be on offer. What can I say? There were loads of crafts to try and look at. There was a felt artist, a willow weaver and a slate sign maker demonstrating their crafts and everybody was invited to have a go! With autumn just around the corner, this was a great way to get a little bit of inspiration for trying a new hobby. Willow weaving demonstration at the Country Fair. © Ruth Armstrong Photography. There was even a temporary tattoo stand – if you ever fancied a tattoo of a tractor or other country inspired design, this was your opportunity. 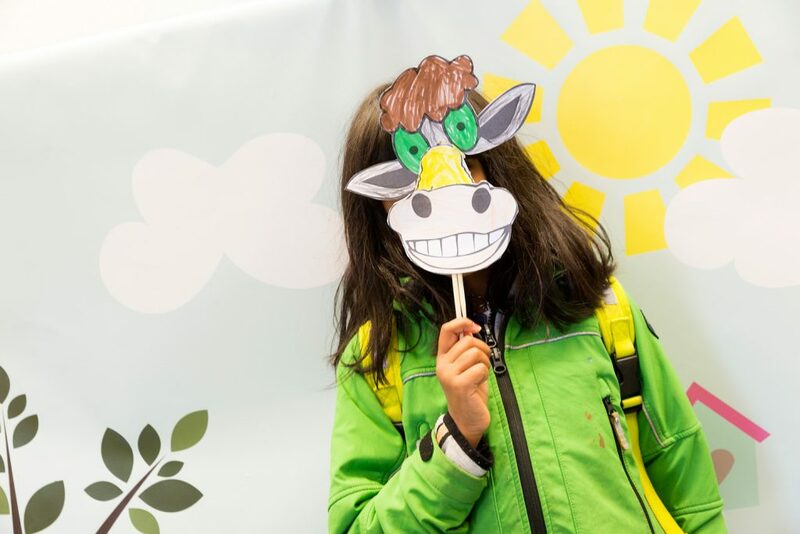 There was another very popular activity happening in the museum: farm animal selfie sticks. You could pick between sheep and highland cows, and once decorated and ready, there was a lovely farm backdrop you could take a selfie in front of using your finished selfie stick. Smile for the selfie! © Ruth Armstrong Photography. Oh, there was so much to do and to look at! 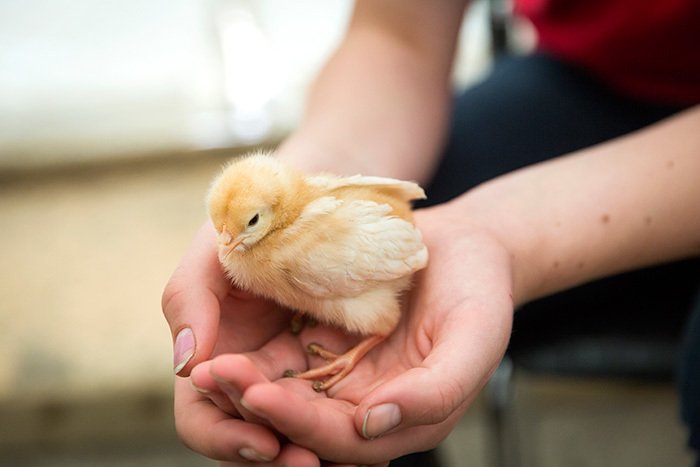 I had a chance to stroke a tiny baby chicken, which couldn’t have looked more relaxed. There was a whole marquee full of chickens and ducks to look at. Have you ever seen a Silkie chicken? Imagine a big, beautiful fluffball with legs and a beak and you get the picture. In the marquee, you could also learn about bee keeping and local wildlife. And then there was a chance to meet Cool Creatures: meerkats, a skunk, an armadillo and a selection of reptiles. Two friendly handlers were there to tell you about the creatures and let you get up close and say hello to them. Holding a duckling. © Ruth Armstrong Photography. Animal handling with Cool Creatures. © Ruth Armstrong Photography. And there were diggers! Small ones and loads of sand for the little people to have a go with. 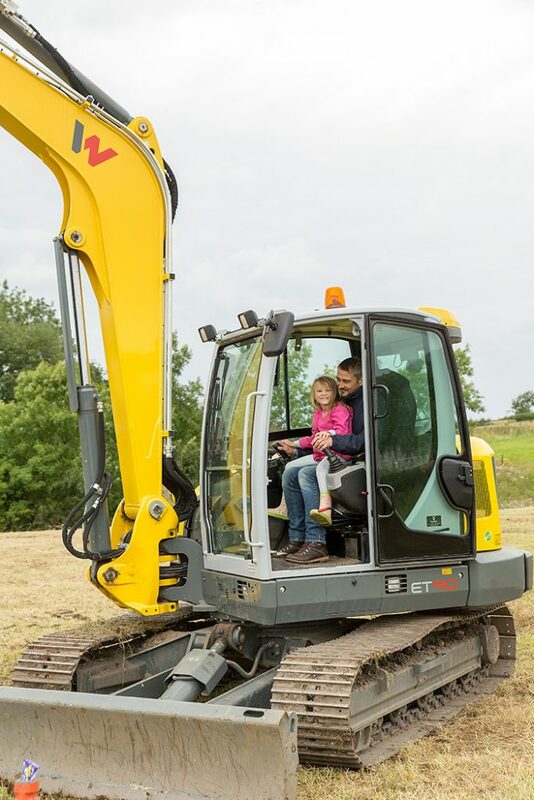 And larger diggers, real ones, and under instruction you could have a go at digging in one of the farm fields. Having a go at digging. © Ruth Armstrong Photography. 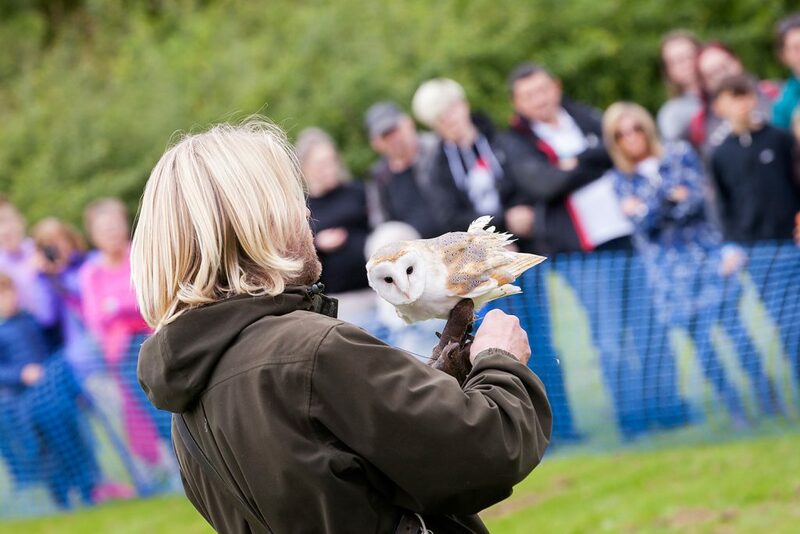 And that’s not all: a falconry display was there with a variety of spectacular birds of prey. I had never seen a Merlin falcon before but there it was! Bird of prey demonstration. © Ruth Armstrong Photography. A safe distance away from these amazing birds, the Scottish Ferret Club had pitched a tent and you could watch ferrets racing. 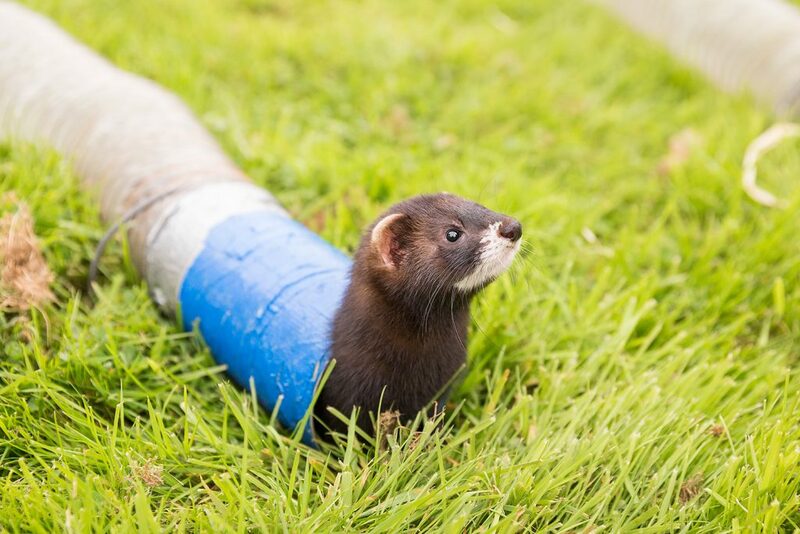 Ferret racing. © Ruth Armstrong Photography. But it wasn’t just ferrets that raced! Oh no! 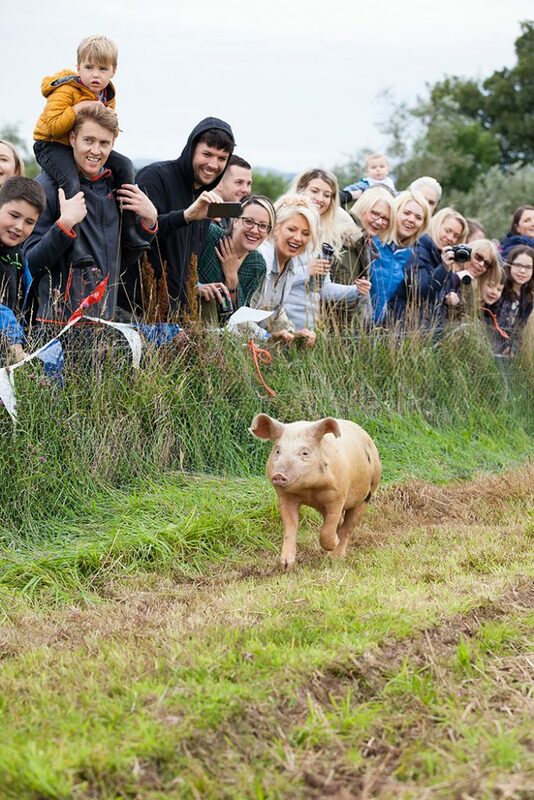 One of the highlights was the pig racing – the farm’s own Saddlebacks and Tamworth pigs were chasing towards the finish line – something you certainly don’t see every day. Pig racing. © Ruth Armstrong Photography. 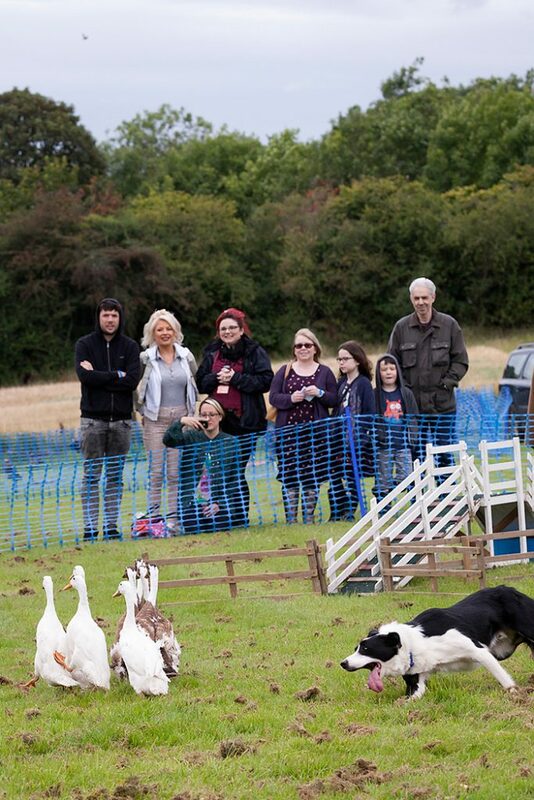 There were even sheepdog trials further up in a field and if you didn’t make it to that you also had a chance to see the dog and duck show, with Indian Runner Ducks herded by a dog! Indian Runner Ducks herded by a sheepdog. © Ruth Armstrong Photography. Up at the farm there was an opportunity to try your hand at stock judging and get a rosette in return. There was a farrier at work, new calves and piglets to be admired and the dairy herd milking. 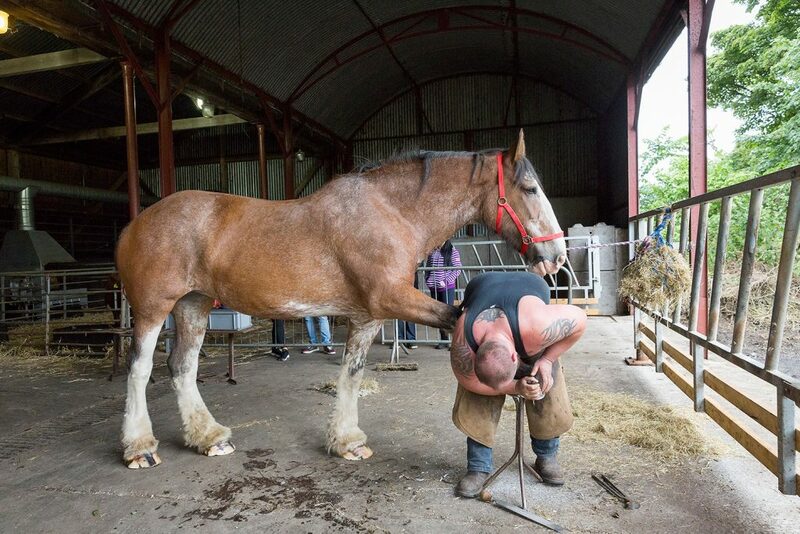 Farrier at work. © Ruth Armstrong Photography. Yes, I had a great day volunteering at the Country Fair, and looking at all the happy faces I saw, I wasn’t the only one having a blast. Even the weather played along for quite a while! 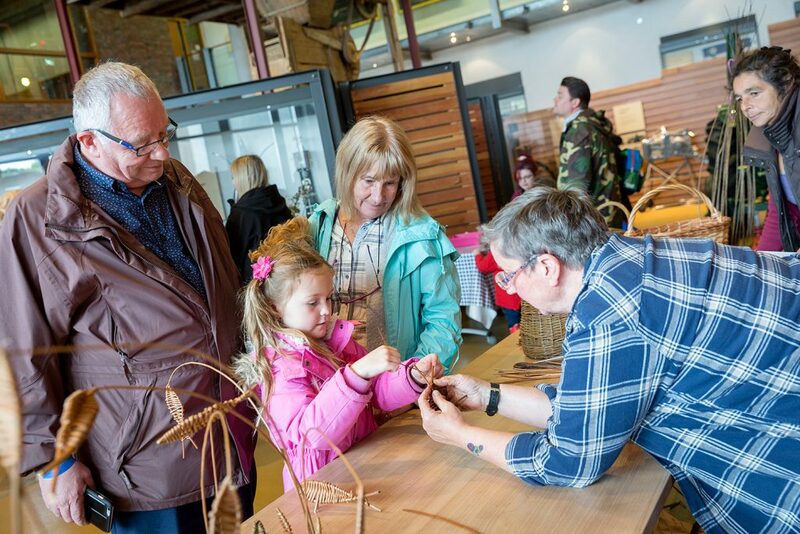 I’m keeping my eye on the event calendar and looking forward to the next day out at the National Museum of Rural Life! 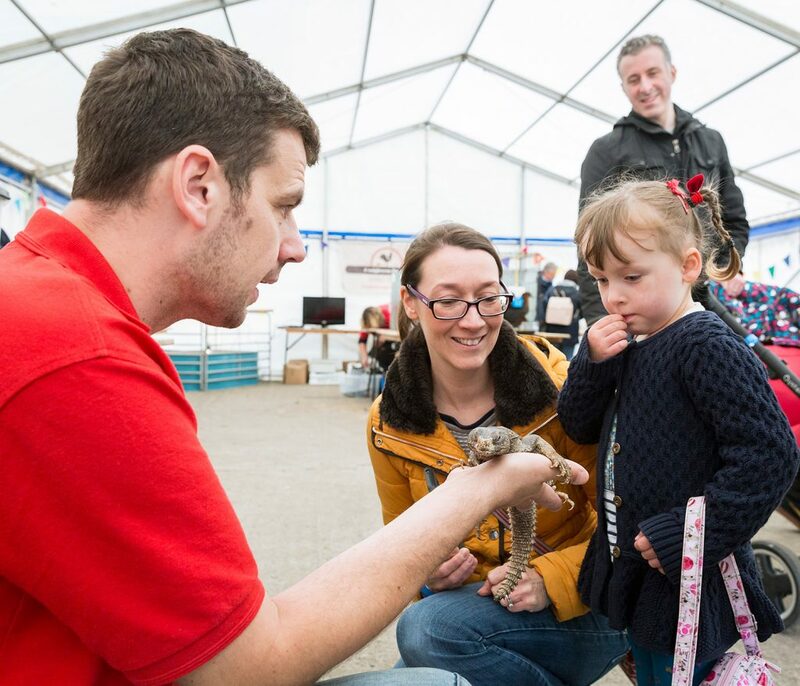 County shows are a great way for people of all backgrounds to get a great introduction and immerse themselves in rural life. I love looking at the animals produce crafts and demonstrations. The children love the machinery and smallholders can get to know their neighbours and make new contacts. It definitely shakes of the rural isolation that can set in!